Non-Trivial Projects with Vague Descriptions - How do you submit proposals for them? One of the things I have yet to crack around here is how to deal with vague job posts. Sometimes they're vague because the customer doesn't know what they want or they're intentionally vague because they're trying to protect their IP. In their own right, this is all fine and good. Customers sometimes need help figuring out what they need, and they are entirely within their right to protect their ideas. But in either case, putting together a worthwhile proposal on a single sentence job description is a nightmare. Especially when I get into the proposal and Upwork wants me to put down my hourly rate for the work, expected time to complete, milestones, and a complete project proposal for a project that I really have no clue about yet. 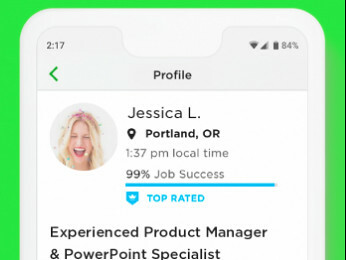 In my opinion, Upwork is woefully ill equipped for complicated projects, but I don't expect that to change so what I'm asking is - how do others deal with this situation? Translation is not very complicated, though, and if the file is attached, I know everything I need to know. But if a job posting is very short, without description, I simply skip it because I feel the client needs to have a certain love and respect for his project, and if that's lacking, that is never a good sign. I tend to skip a bunch too, which is a shame; some of them could be really good! The ones with verified payment, a good client history, reasonable sounding budgets, or seem outright crazy get a second look - even if only for comedic value. Agreed on the wasting connects part though. Although it does feel crappy to be sending messages that basically say "Hey, your post has keywords in it that match my profession! Want to explain your project to me so I can give you a realisitic proposal?" If you want to bid on these, then go for it. Your proposal can be brief. You can make it clear that you know how to work on a project like this, and you're available to be hired and get started. Writing a high-quality job post is a skill. Not every client can write a job post which meets your expectations. 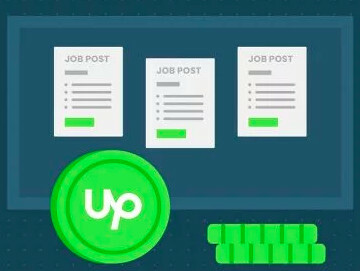 The best job posts are also written by people who have some familiarity with Upwork. But there are new clients who have not posted here before very much, or at all. They may not know exactly what works well. I understand that you sometimes see job posts which are easy to criticize. But what do you suggest as a "solution"? There are already many freelancers who are willing to work with this type of client. I have found that many clients who write vague or problematic job postings actually have quite a bit of money to spend, or represent companies with a lot of money. I have earned tens of thousands of dollars working for clients whose job posts were laughably bad. Well, I don't really have a reliable solution within the current limitations of upwork, hence this thread, but I'm willing to try because there are a ton of jobs like this in engineering and programming. So far, my MO has been to try to court the ones that aren't way out in left field with a short proposal that basically says "I think can help you, here are my questions about your project:" and much of the time I get no response. I fear that part of this may be that I can't get rid of the time proposal or hourly rate or whatever - the things that don't matter until the project is understood anyway. They may see my usual rate, and the standard time and say "Oh man this guy is nuts," and toss my proposal. I don't know because we don't get that kind of feedback. Occasionally one of these proposals does kick off a conversation. Some of these conversations are excellent and so I end up spending a lot of time just helping them figure out what they really need. There is no way that I know of to charge for these hours until after they've accepted the proposal, so when they come back and say "Oh, this is going to be way more work than I thought, I'm not ready for this," then I'm stuck with multiple hours where I could have been doing something else and I just defined their project for them for free. That leaves me grumpy - getting a project off on the right foot is a skill and it is time consuming. It should be treated as such. If I could propose a change to upwork, then that it would be a box the client can tick that says "This project isn't fully defined yet and I'm willing to pay for X hours of a freelancers time to plan it." At that point all of the proposal stuff with estimating time and milestones etc goes away. The client could then describe what they do know, share what they've got so far, and what their goals are. From there freelancers could look at it and make a judgement about whether or not they think they can help and put in a proposal for that sort of pre-project consulting. In the end, the customer can either post the result as a new job, or having a better understanding of what they're asking, decide not to go forward. Either way, a freelancer does useful work and gets paid for it, and the client ends up in a better spot than they started. Just wanted to add that this change could actually cut client costs, because they could hire an experienced, high-priced person for the up-front work, and a lower-priced one for the rest. 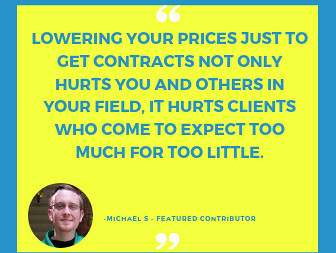 From Upwork's standpoint, it might be better, too, since (even with possibly less spent per-client), there would fewer RFPs where no-one ended up being hired, greater client satisfaction, etc. I personally don't 'craft' a proposal at all on postings like that. It's impractical - plus there's nothing to craft around. I simply leave a very short message regarding potentially relevant work experience (possibly projects links) and let them know i'd love to chat to them about project specifics. I usually add a note about the budget being placeholder until details are understood (leave it on the higher end to keep expectations realistic). Once they get back to me & I know the job is active / client is interested then I invest time & energy into the process with more confidence. Many freelancers may tell you that method is not the best (and maybe they're rigth) but it works for me personally. I don't really have time to craft proposals for jobs that might go stagnant or for clients who are looking for more budget options. If they show interest in my intial msg & *very* rough estimate then I can invest energy. Truth is (as you've hinted) clients don't actually know where to go with some of this stuff & don't have all the specifics. A brief will likely come later. Really what's needed more than a 'rock-solid-pitch' at this stage is a conversation starter - which I what I try to have.